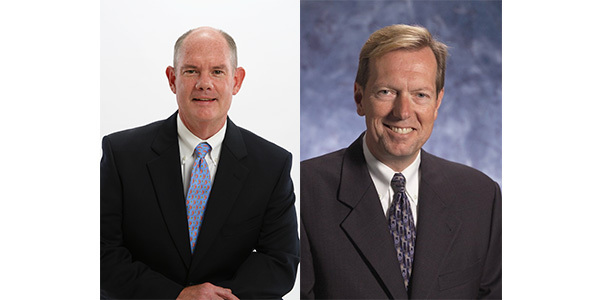 The leaders of the Automotive Aftermarket Suppliers Association (AASA) and the Auto Care Association will inform industry executives at the upcoming 2019 AASA Vision Conference about the actions being taken to ensure freedom of choice and access to data – the most important issue in the aftermarket today and one that impacts the future of all aftermarket stakeholders. The conference is scheduled for Wednesday, April 3, at The Henry in Dearborn, Michigan. Vision Conference attendees will learn about the current legal landscape, what the associations are doing to lead the fight and the associations’ strategies to achieve a shared goal: To preserve the motorists’ freedom of choice for vehicle maintenance and repairs and with what components he or she chooses. Bill Long, president and CEO of the Motor & Equipment Manufacturers Association (MEMA) and president and COO of AASA, and Bill Hanvey, president and CEO of the Auto Care Association, will address this important topic along with Sarah Bruno, partner with MEMA’s legal counsel, Arent Fox. The conference will close with an AASA member-only segment, which will feature Mark Finestone, executive vice president of merchandising for AutoZone, as the “Customer Spotlight” speaker, and also includes a presentation by Adam Goetsch, director of automotive for Amazon.